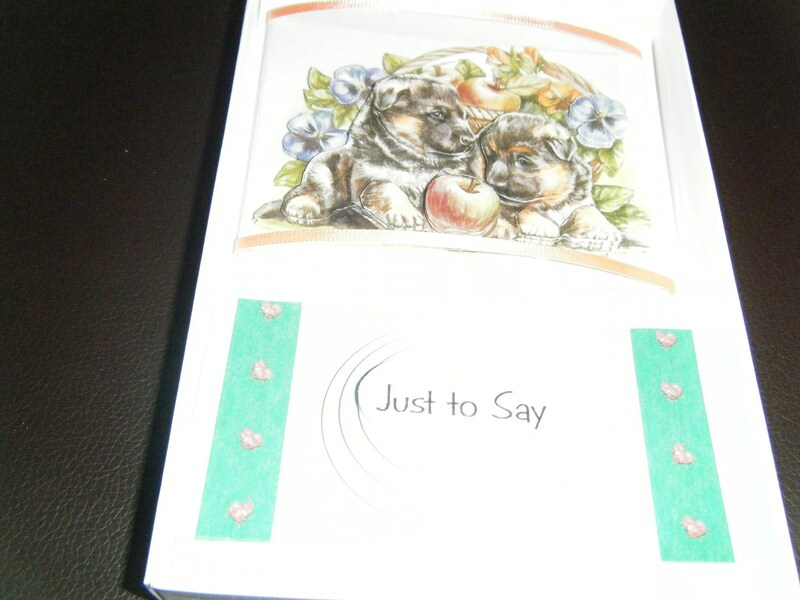 Decoupage Design Is Two Puppies With Basket Of Fruit. With Pink Ribbon On Acetate Dome. Green Backing Paper With Ribbon And Greeting Just To Say.